The Global e-commerce giant Amazon is once again back with its annual festival sale - The Amazon Great Indian Festival Sale. 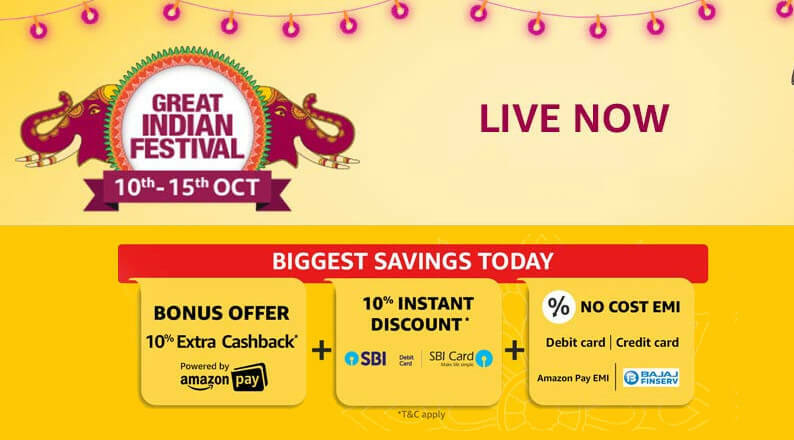 The Amazon's Great Indian Festival sale 2018 will kick off on October 10 at 12:00 pm (noon) and will last till October 15, and as always Amazon Prime Members will get exclusive early access to deals and offers, starting October 9 at 12 noon. 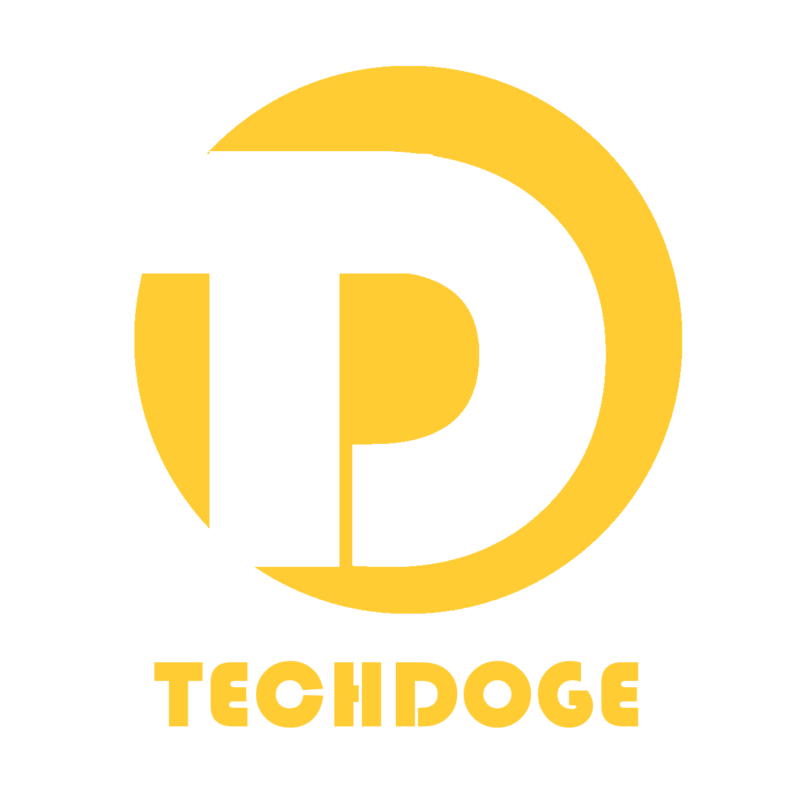 This time too in order to attract customers, Amazon is offering huge discounts and deals on various products and accessories, especially, in the gadget segment there are lots of exciting and amazing deals and offers that you are really going to love. Ahead of the sale, Amazon has revealed some great deals on smartphones, headphones, Bluetooth speakers, smart TVs, and other consumer electronics. 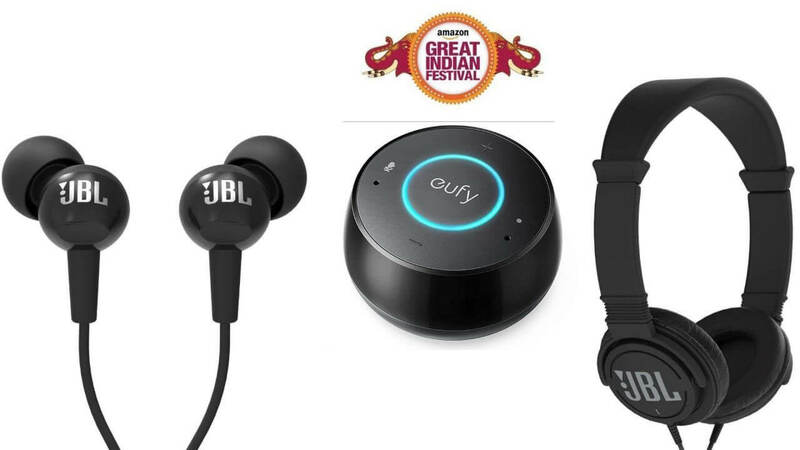 Here’s a look at all the top deals on Amazon Great Indian Festival before the sale begins. The Bose QuietComfort(QC) 25 headphones are one of the best noise cancelling headphone. The lightweight Bose QC25 offers deep and powerful sound for the music you love. At the Great Indian Festival Sale, Amazon is offering a huge price cut from Rs 25,200 to Rs 12,600 on the Bose QC25. Along with this as the part of Bose Diwali Offer, you can get the chance to win Bose gift vouchers/coupons up to INR 50000 daily through the lucky draw. So, if you are looking for good acoustic noise cancelling headphones which are comfortable to wear and carry then this deal is made for you so go and grab it. If you are looking to buy wireless Bluetooth speakers then Bose SoundLink Mini II Wireless Bluetooth Speakers can easily meet your expectation. The Bose SoundLink Mini II Wireless Bluetooth Speakers feature a built-in speakerphone with a lithium-ion battery that allows up to 10 hours of play time. The speaker features a highly durable aluminium casing, making it highly durable. At the Amazon festive sale, the Bose Soundlink Mini 2 speakers will see a great price drop and will be available for Rs 12,960 compared to their original price of Rs 16,200. Along with this as the part of Bose Diwali Offer, you can get the chance to win Bose gift vouchers/coupons up to INR 50000 daily through the lucky draw. If you are looking for amazing travel-friendly wireless headphones with great battery life, then Sennheiser HD 4.50 BT NC Bluetooth Wireless Headphones will be a great choice for you. The HD 4.50 BTNCs are significantly cheaper than noise-cancelling headphones from Bose and Sony designed for business travellers. The Sennheiser’s NoiseGuard tech offers great noise cancelling. The headphones also have a great 20-hour long battery life and are foldable, making them easy to carry in the travel case provided in the box. The Sennheiser HD 4.50 SE BT NC headphones will see a huge discount and will be available on Amazon for Rs 7,490 compared to their original price of Rs 14,990. The JBL Go Bluetooth speaker is great for your smartphones and laptops. The 3-watt JBL Go Bluetooth speaker is capable of Wireless Bluetooth streaming and has a speakerphone to help take calls. The speaker also has an Aux-in port to connect using a 3.5mm cable and can be connected to compatible iOS or Android devices. The speaker comes with a rechargeable battery and offers 5 hours of music playback. At the Amazon festival sale, the JBL Go Portable Wireless Bluetooth Speaker will be available at an affordable price of Rs 1,399 compared to its previous price of Rs 1,690. The JBL Cinema SB250 is a perfect choice for your premium TV and is capable of working with your TV and mobile device at the same time to allow you to automatically switch between the sounds from your TV and sound from your mobile device. JBL Cinema SB250 is a wireless sound bar and subwoofer combo which features cinematic sound with Dolby Digital and Harman display surround sound. It provides single one-cable connection to your TV. JBL Cinema SB250 can also learn any TV remote volume control, giving you simplified control over your home cinema experience. During the Great Indian Festival sale, the JBL Cinema SB250 will be available at a discount price of Rs 13,990 compared to its original price of Rs 17,400. The JBL Cinema SB350 is a combo of 2.1 surround soundbar (with a built-in dual stereo speaker system) and a wireless subwoofer. The setup features Dolby Digital and Harman Display Surround sound, with a simple one-cable connection to your TV with HDMI ARC, analog or optical audio inputs. The JBL Cinema SB350 brings stunning, cinematic sound to any thin-profile TV. It is the higher variant after the SB250 and will be available during the Amazon sale with options for 12-month No cost EMIs. The soundbar and subwoofer setup will see its price come down from Rs 21,990 to Rs 17,990. The Samsung Galaxy S9 will see a huge price cut at the Amazon Great Indian Festival and will be available at an exciting price of Rs 42,990 (MRP Rs 57,900). The 2018 flagship smartphone, Samsung Galaxy S9 is powered by Exynos 9810 Soc, coupled with 4GB RAM and 64GB internal storage. The Galaxy S9 features a 5.8-inch Quad HD Super AMOLED screen, 12 MP Rear Camera with Dual Aperture lens (F1.5 & F2.4 modes), Super Slow-mo, AR Emojis, Optical Image Stabilisation, Live Focus, Background Blur Shapes with Rear LED Flash, an 8MP front camera, and a 3000 mAH Battery. The Samsung Galaxy Note 8 will available at a discount price of Rs 43,990 (MRP Rs 55,900), during the Great Indian Festival sale. The Galaxy Note 8 features a 12+12MP Dual rear Camera with Autofocus, 2x Optical zoom, 8MP front camera, Touch focus and Face smile detection. The device runs on Exynos 8895 Soc coupled with 6GB RAM and 64GB internal Storage. The Amazon is also offering Rs.3000 extra on the exchange, 9 months no cost EMIs and free screen replacement with the device. The Galaxy Gear S3 smartwatch also see a huge price cut and will be available at an exciting price of Rs 17,990 (MRP 26,000). The Samsung Galaxy Gear S3 smartwatch features a 1.3-inch 360x360 super AMOLED capacitive touchscreen display covered with Corning Gorilla glass SR+, GPS, altimeter, barometer and Heart Rate Monitor. The Galaxy Gear S3 smartwatch is compatible with Android and iOS and is Certified IP68 water, dust resistant, along with shock and temperature resistant. The buyers also get a 9-month no cost EMIs option with their purchase. The flagship smartphone OnePlus 6's 64GB model will see a discount of Rs.5,000 at the Great Indian Festival Sale and will be available for Rs 29,999 (Rs 34,999). The OnePlus 6 runs on the Qualcomm Snapdragon 845 processor and is coupled with 6GB of RAM. The OnePlus 5 feature a 16MP + 20MP dual camera setup at the back and 16MP selfie camera on the front. The device comes with a 6.28-inch FHD+ Full Optic AMOLED display with a 19:9 aspect ratio. At the Amazon Great Indian Festival sale, the Moto G5S Plus is available at a discount price of Rs 9,999 (MRP Rs 11,999). The Moto G5S Plus runs on 2.0GHz Qualcomm Snapdragon 625 processor coupled with 4GB RAM and 64GB storage. The handset features a 5.5-inch display, 13 + 13MP dual rear camera setup, and 8MP front shooter. Along with this deal, the buyers will also get free screen replacement and other exchange offers with the purchase of the phone and buyers can also go for 6 months no cost EMIs. The Moto E5 plus is also available at a discount price of Rs 9,999 (MRP Rs 11,999) on the Amazon Great Indian Festival sale. The Moto E5 Plus features a 6-inch HD+ display with a 1440x720p resolution and a powerful 5000mAh battery (with Rapid Charging technology). The device runs on 1.4GHz Snapdragon 430 octa-core Processor, coupled with 3GB RAM and 32GB of internal storage. The handset comes with a 12MP rear camera and 5MP front camera. During the sale, the Vivo Nex will be available for Rs 44,990 (MRP Rs 47,990). The device features a 6.59-inch Full HD+ Super AMOLED display with 2316x1080 pixels and runs on 2.8GHz Qualcomm Snapdragon 845 octa-core processor, coupled with 8GB RAM and 128GB internal storage. The Vivo Nex also features a 12+5 MP Dual rear camera setup with AI HDR scene recognition and a front 8 MP selfie camera. The Vivo V9 Pro will see a discount of Rs. 2000 and will be available for Rs 17,990 (MRP 19,990). The Vivo V9 runs on Qualcomm Snapdragon 660AIE octa-core processor, coupled with 6GB RAM and 64GB internal storage. The device features a 6.3-inch FHD+ Fullview display, 13+2 MP Dual rear camera setup with Ultra HD, Live Mode, AI Bokeh, HDR, Face Beauty, along with 16 MP AI Selfie camera with Face Beauty, AI HDR, Bokeh effect, Group selfie, Live photo, AR stickers. The Amazon is offering up to 60 per cent off on the purchase of hard drives, memory cards and pen drives, during the Great Indian Festival Sale. Besides this, the company is offering up to 50 per cent off on the purchase of tablets & fitness trackers and a discount of up to Rs 55,000 on the purchase of laptops from its platform during the festive sale.